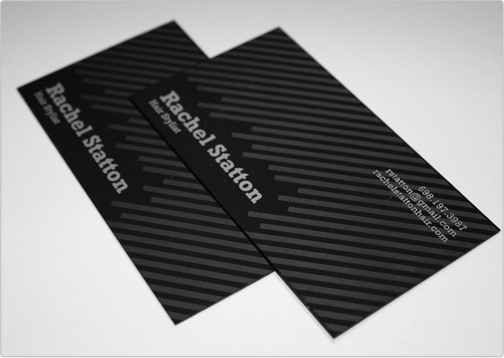 The Rachel Statton black suede card is very edgy and contemporary. 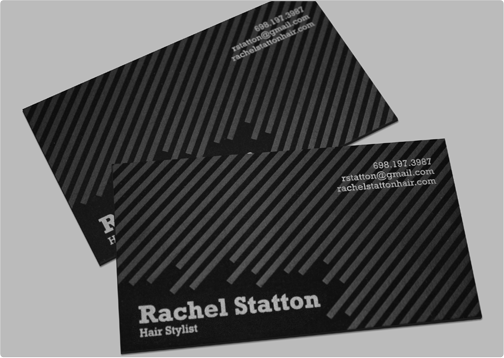 It is printed with two colors of gray ink which compliment the black stock. Specs: standard cut black suede bc/ gray ink 2 sides.